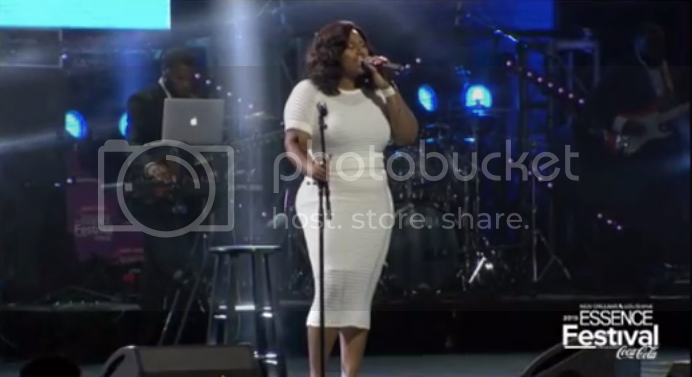 Jazmine Sullivan gave an incredible tribute at this year's Essence Fest to legendary gospel singer, Kim Burrell. Her performance was part of the All-Star Gospel Tribute and featured Burrell's "Prodigal Son" and her "Masterpiece." Sullivan expressed nervousness about singing in the tribute when it was announced she was slated to perform. "When it comes to Jazmine Sullivan being nervous to sing for me, oh come on. Get real," Kim Burrell said about Sullivan's comments in an interview with Essence. "Don't worry about impressing me. She's already impressed the world. All she has to do is sing, be Jazmine, and make me proud." Jazmine surely made her proud with this performance. Check it out below! By the way, you should definitely have Reality Show .